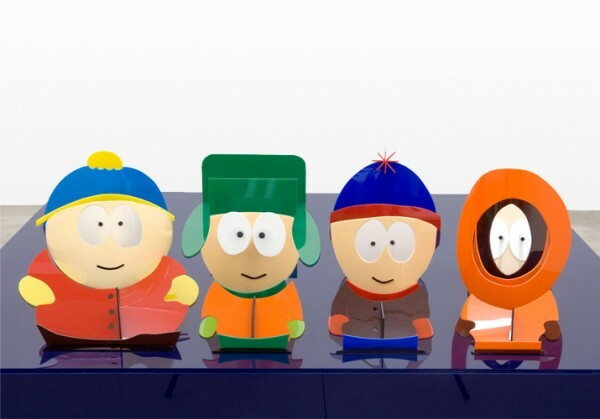 James Hopkins created this sculpture titled Kyle, Stan, Cartman & Kenny in 2006 for a private collection. It is made from acrylic plastic and also happens to be an optical illusion. Can you figure out why? 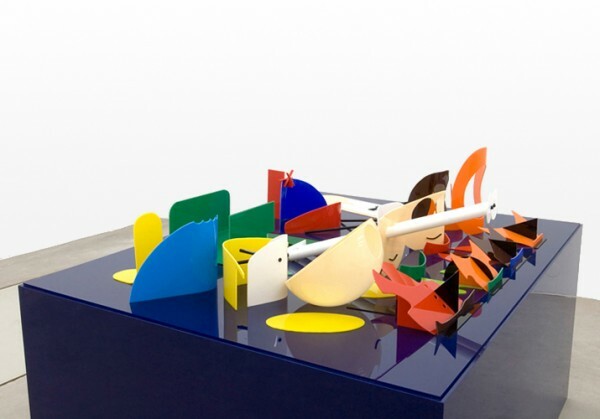 This is actually an anamorphic sculpture that only resembles the South Park gang when viewed from one specific angle. A photograph from a different angle reveals the illusion.